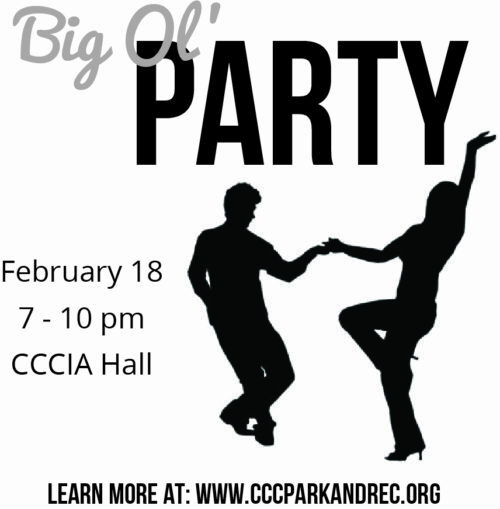 Join us on February 18th from 7-10 pm at the CCCIA Hall for a Big Ol’ Party! We’re celebrating…the idea of having a big ol’ party in the middle of the winter for no reason! Doesn’t that sound like fun? We’re splurging for a local, live DJ to play some great music that everyone can enjoy. We’ll be providing some food, but we encourage you to bring along a potluck finger food to share. Beverages are BYOB – you know what you like!